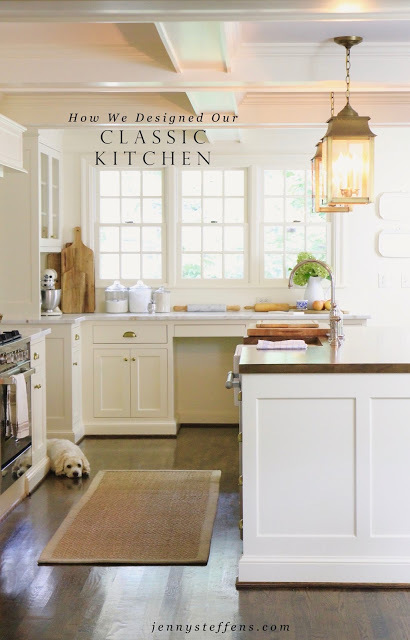 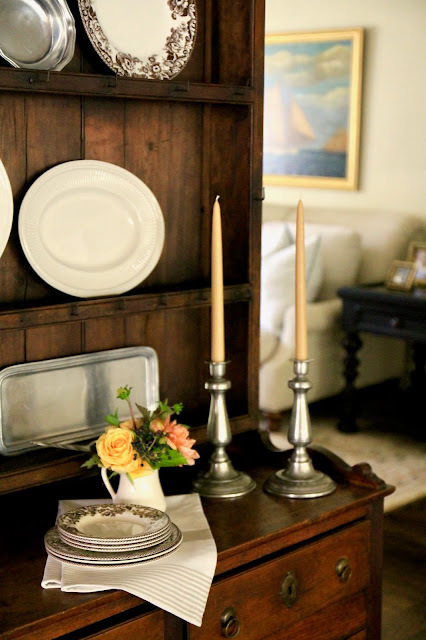 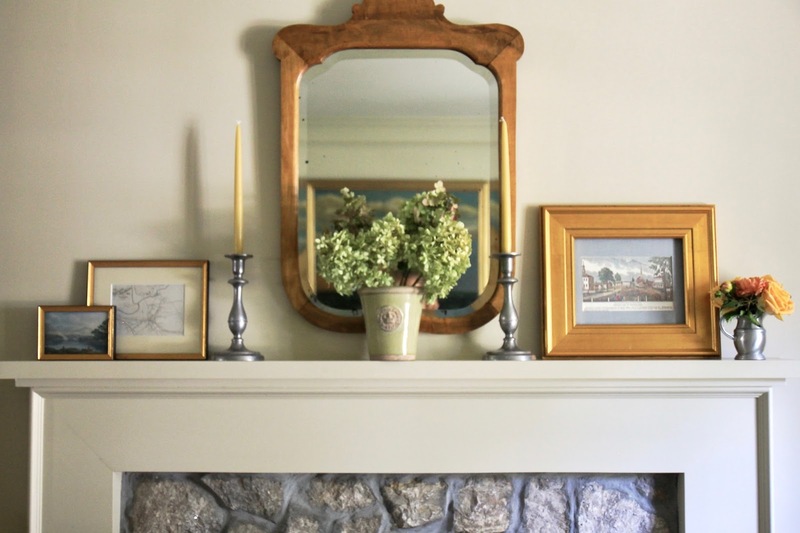 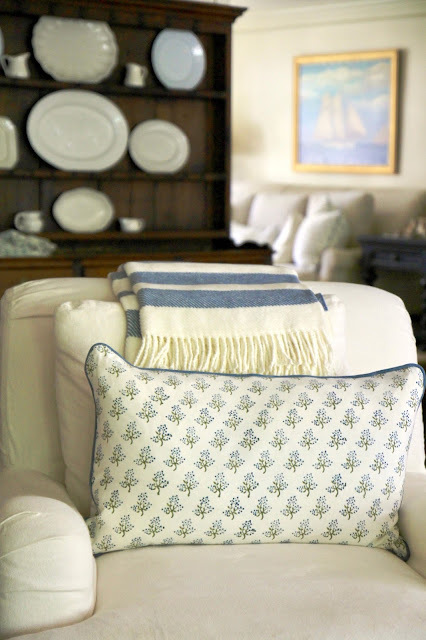 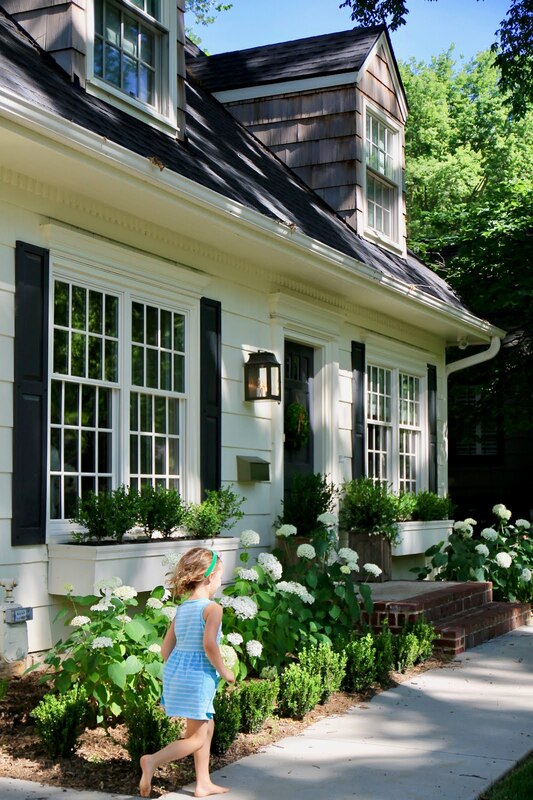 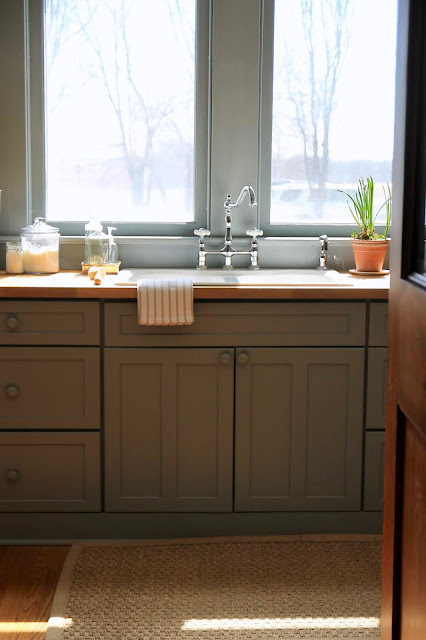 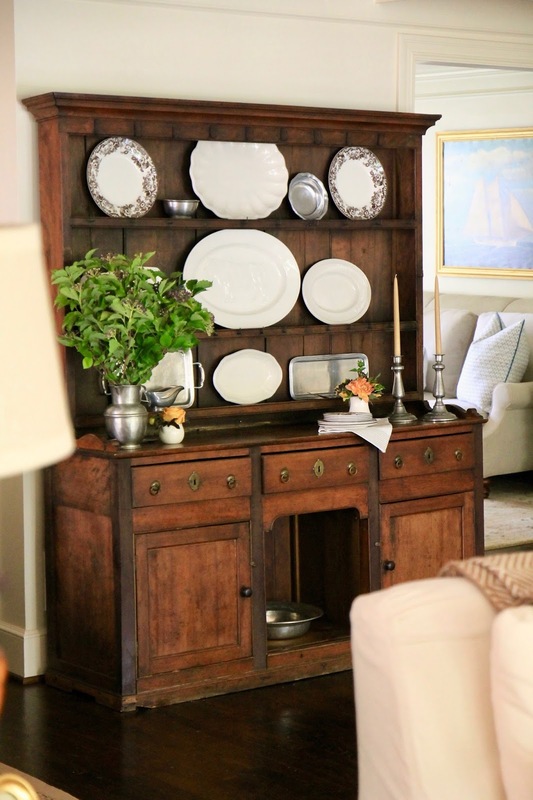 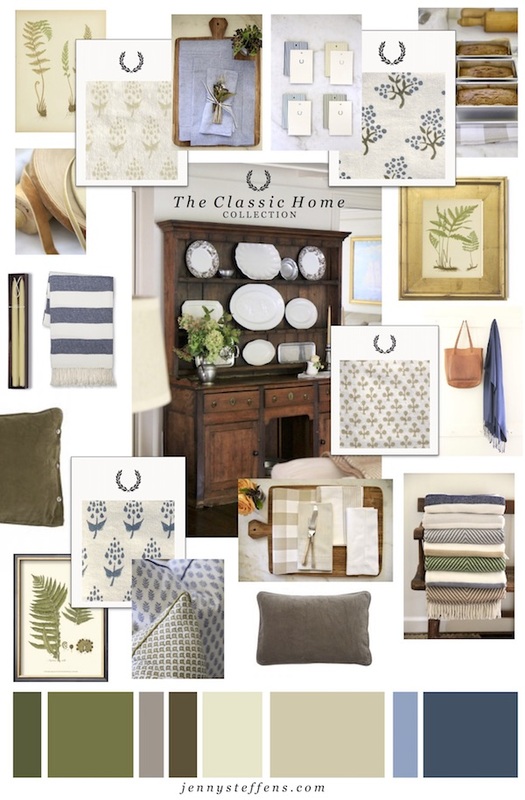 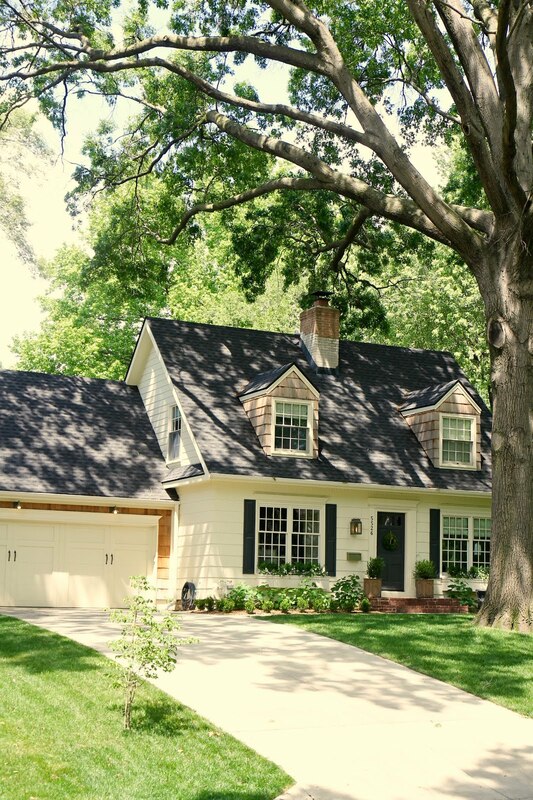 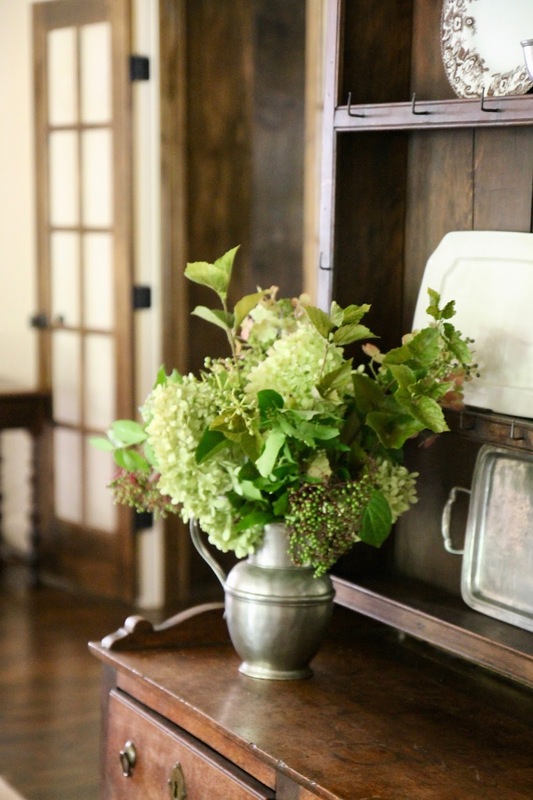 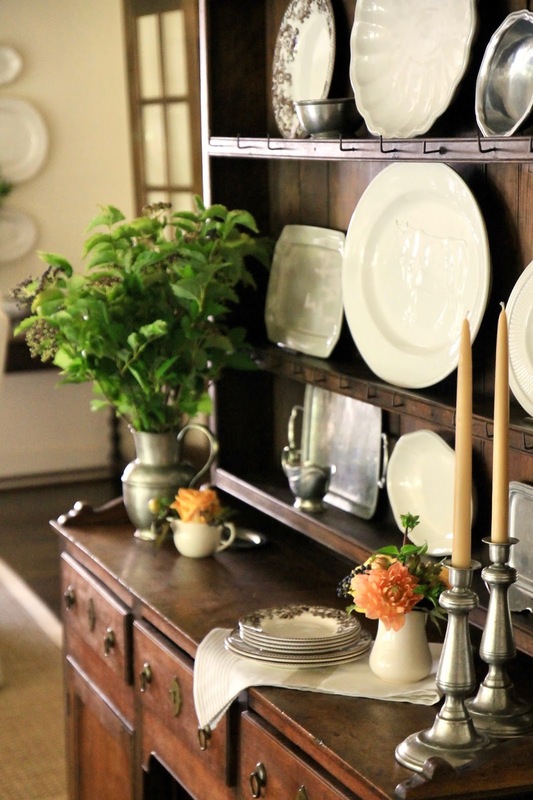 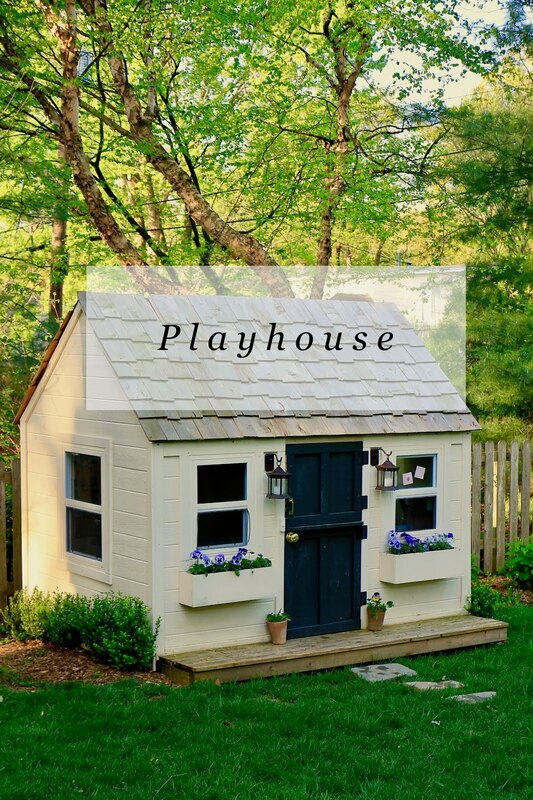 This collection is all about creating a timeless, season-less house that always feels like Home. 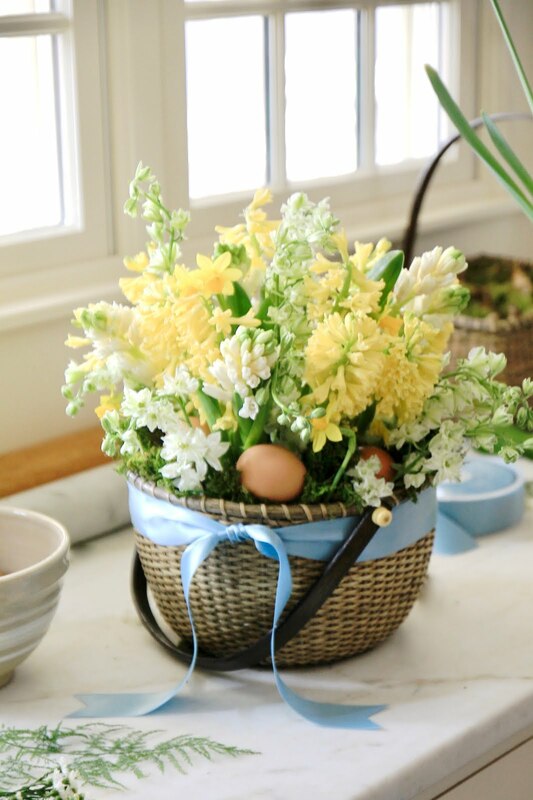 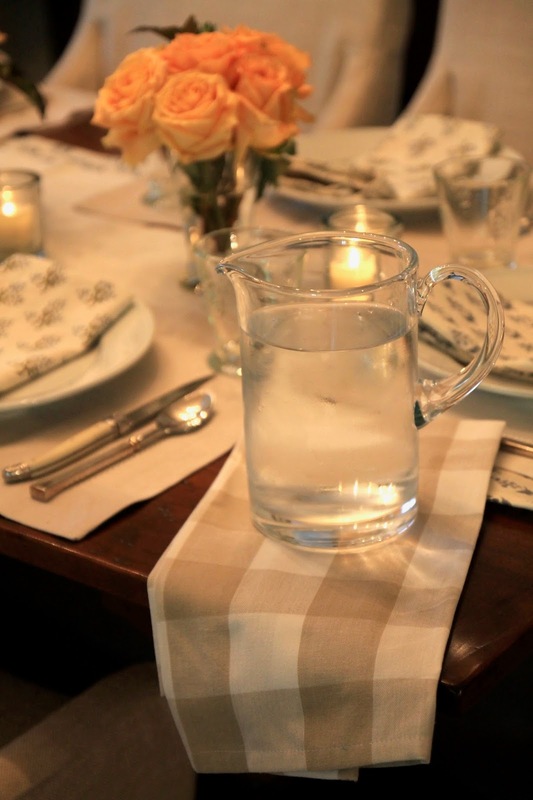 I will continue to focus on essentials for Family Dinners and help you make them happen gracefully. 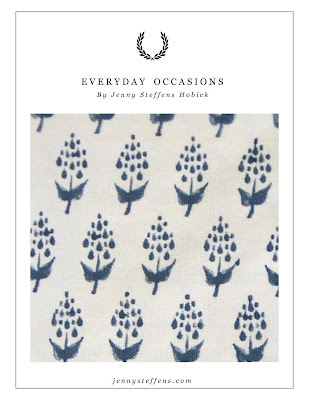 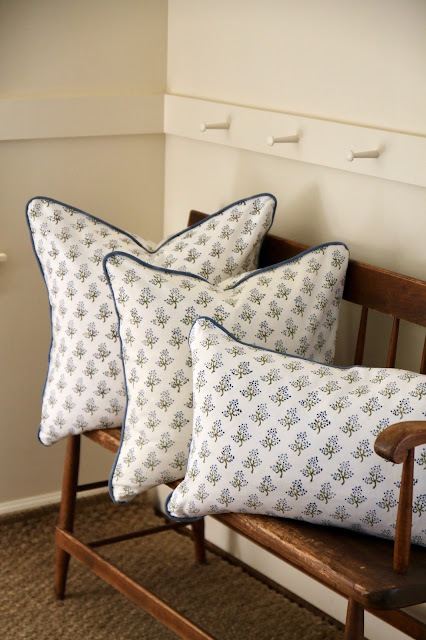 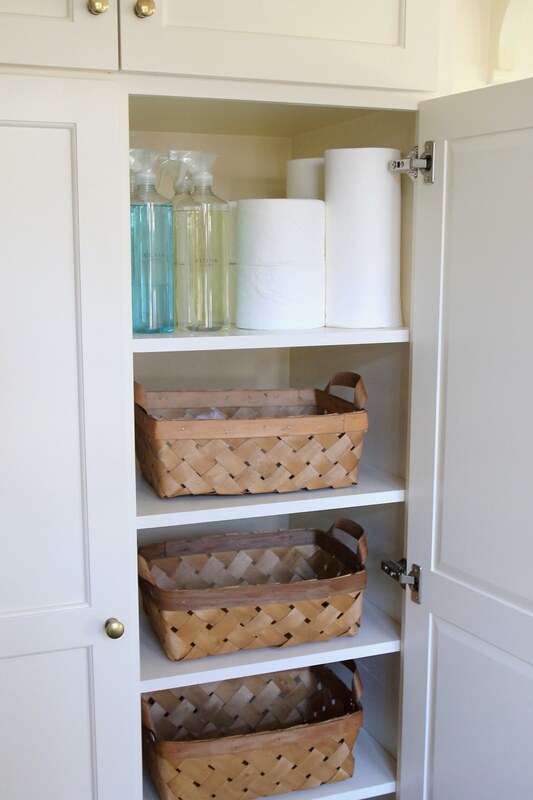 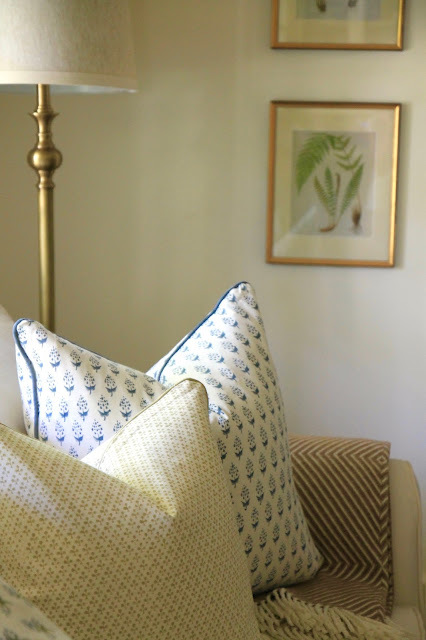 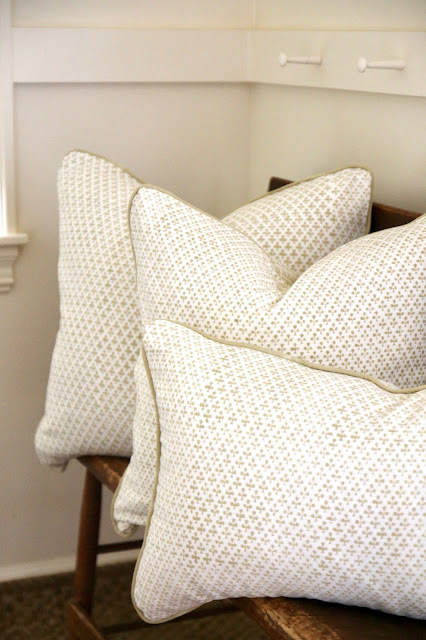 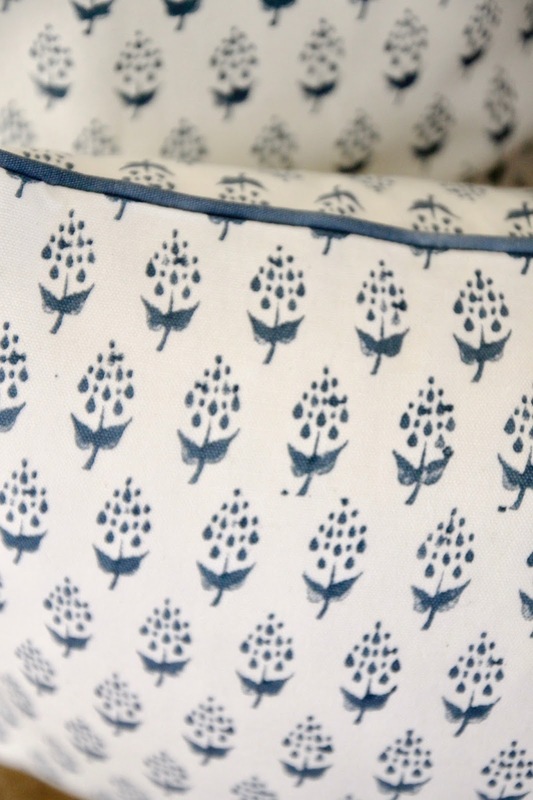 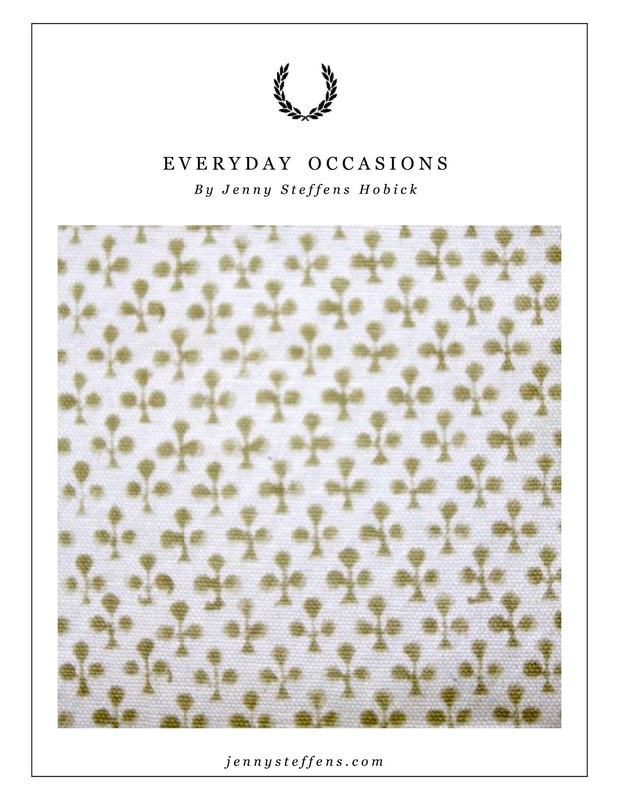 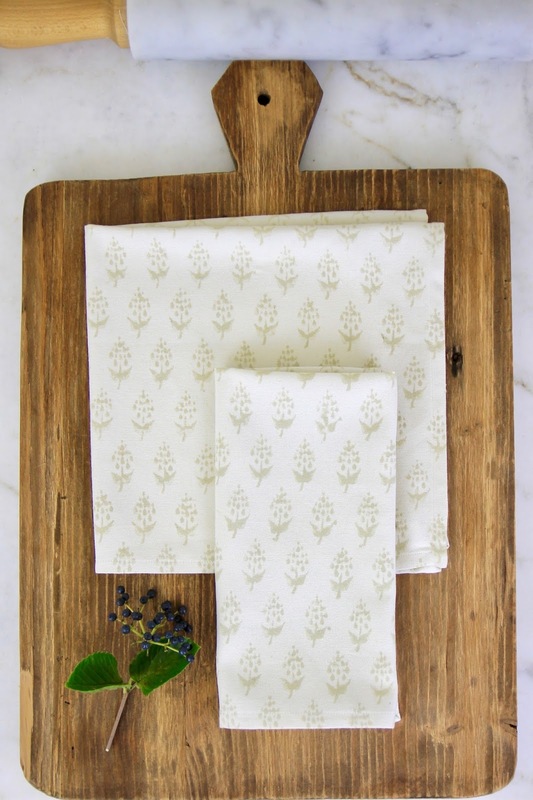 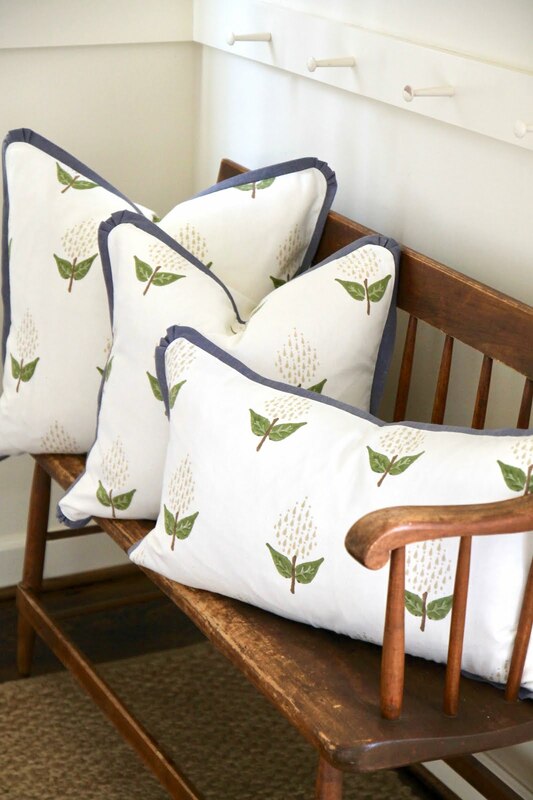 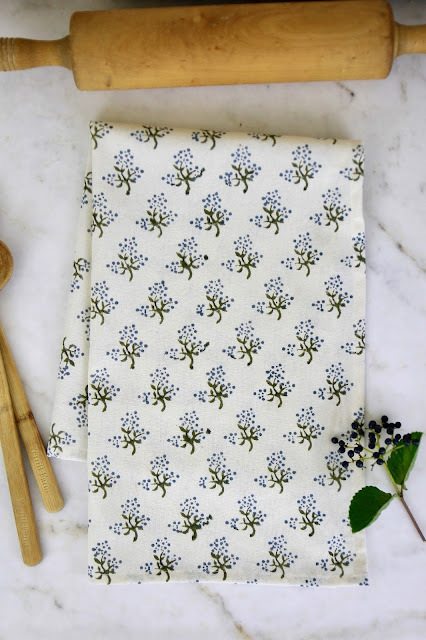 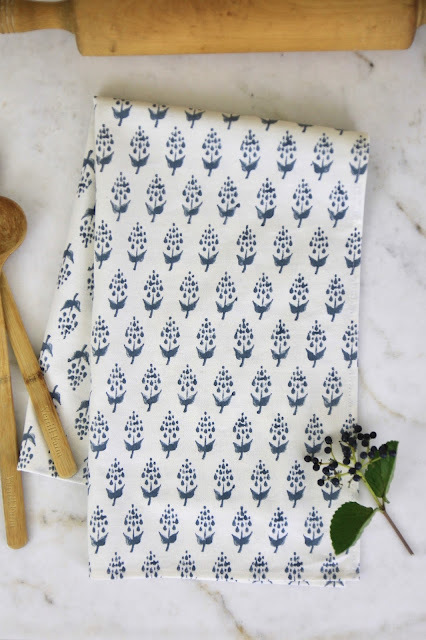 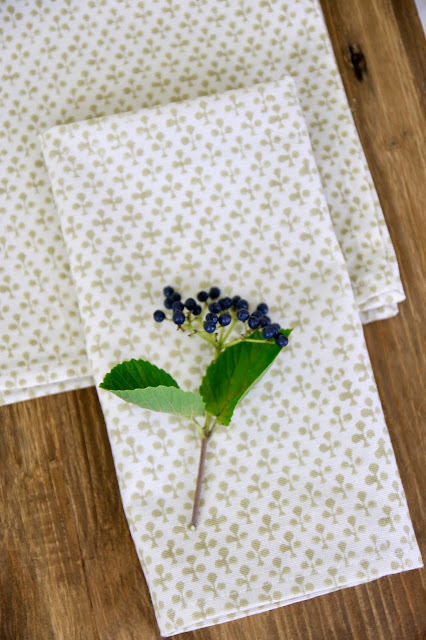 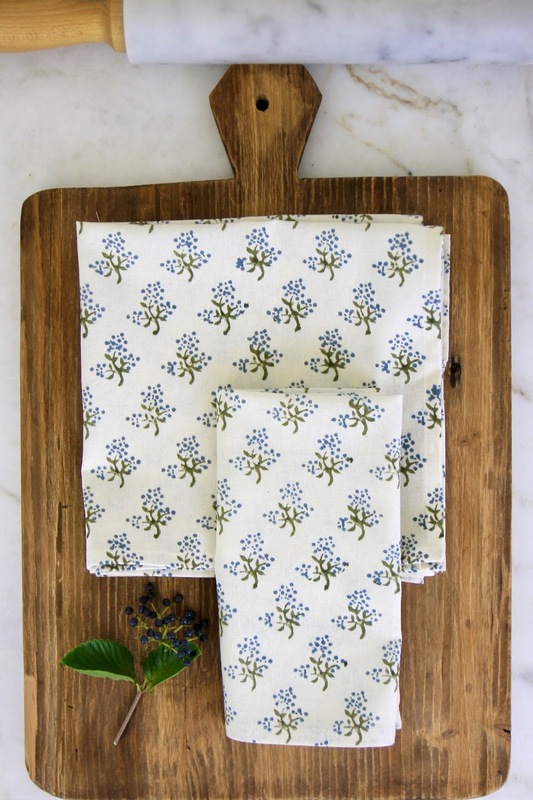 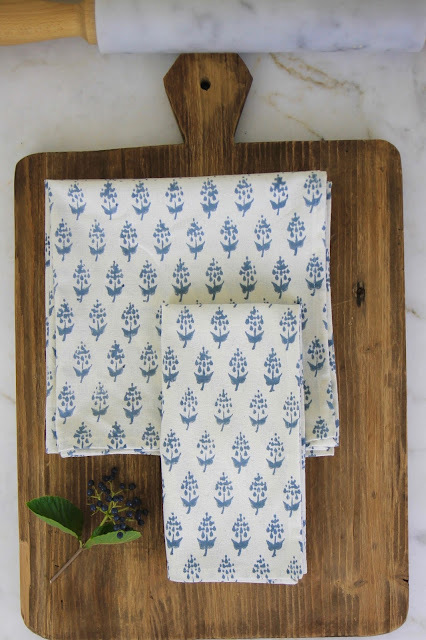 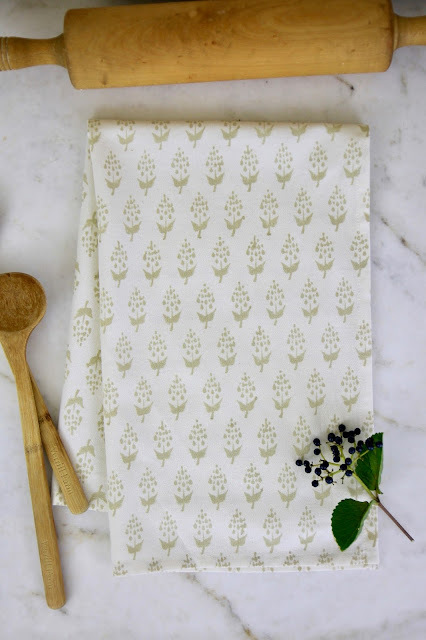 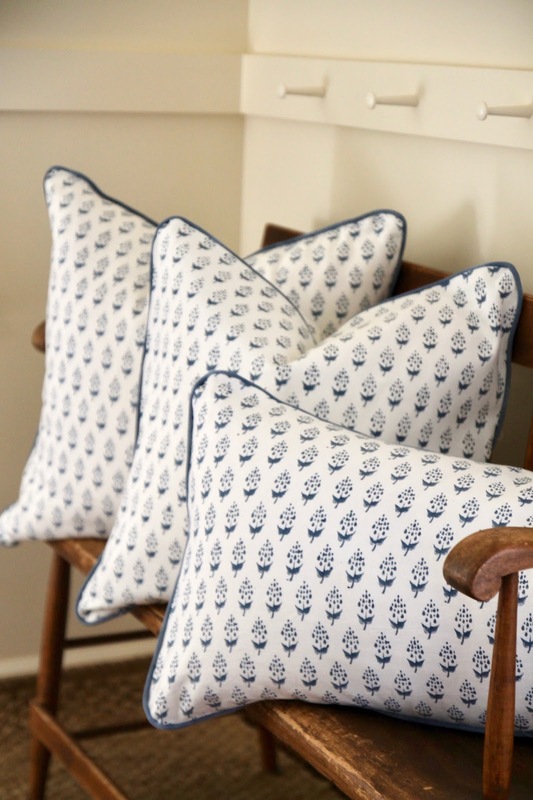 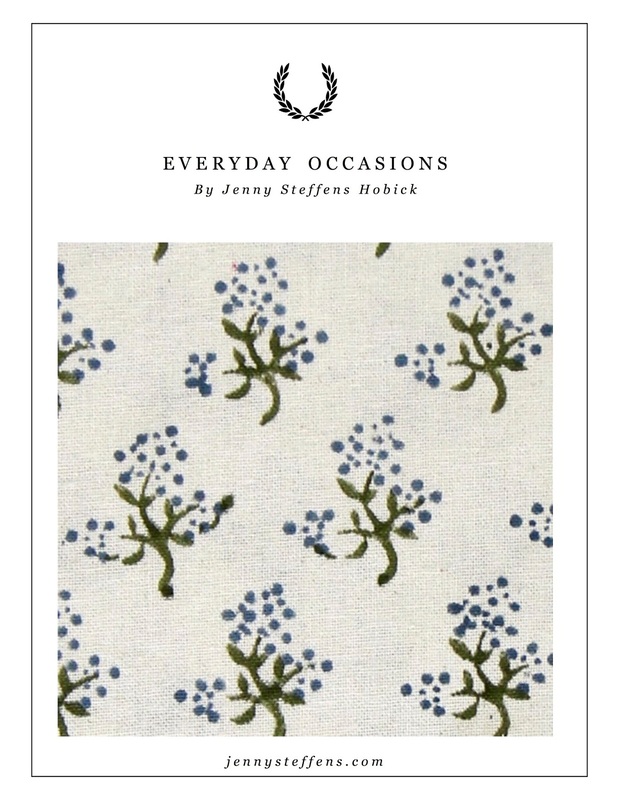 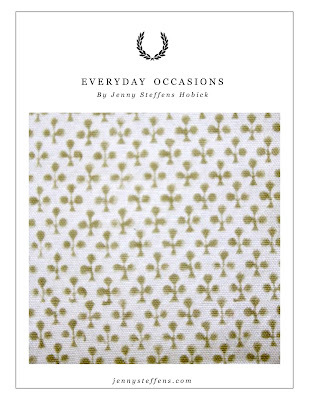 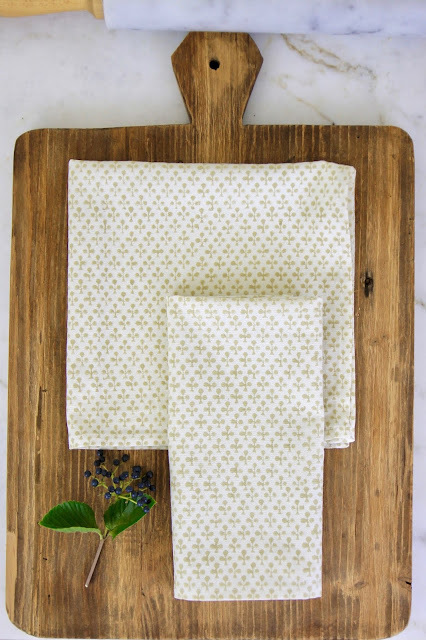 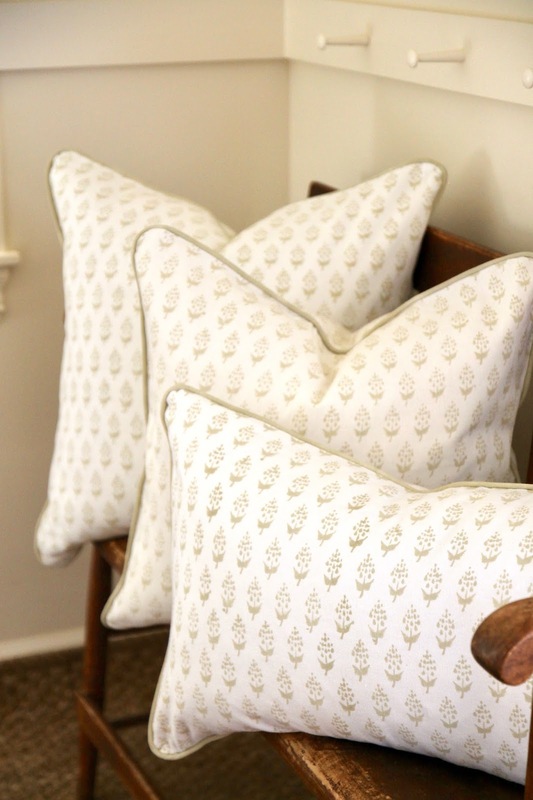 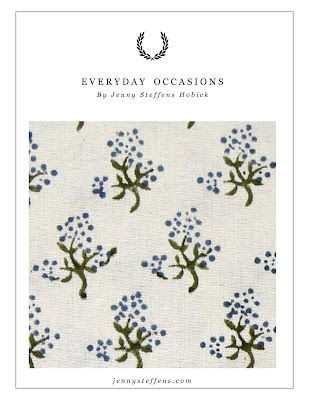 This collection will include a new line of Block Print Linens with Pillow Covers, Table Linens, Napkins and Tea Towels. 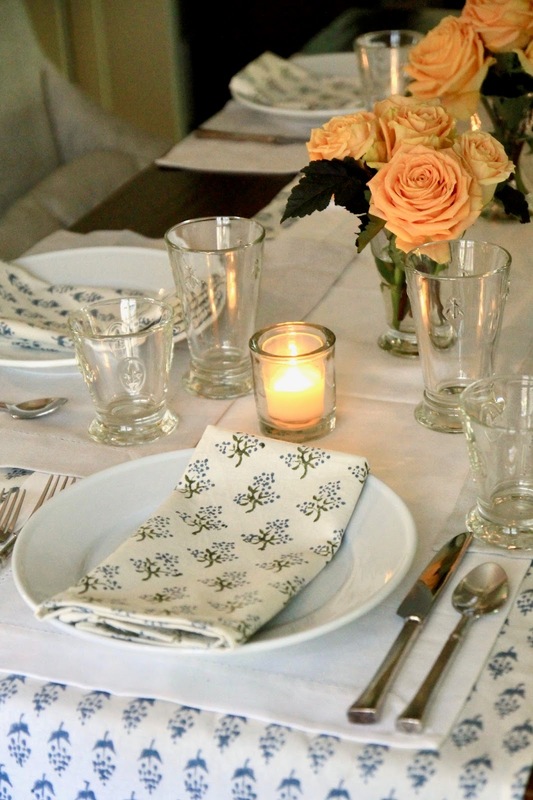 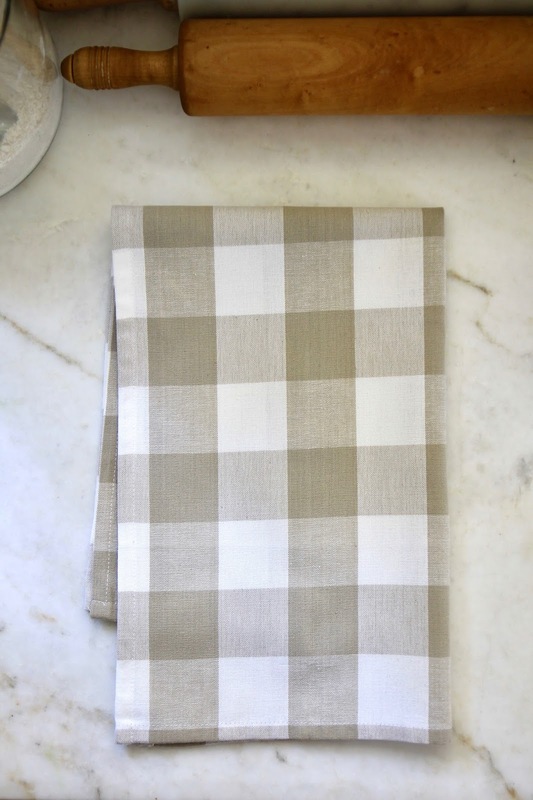 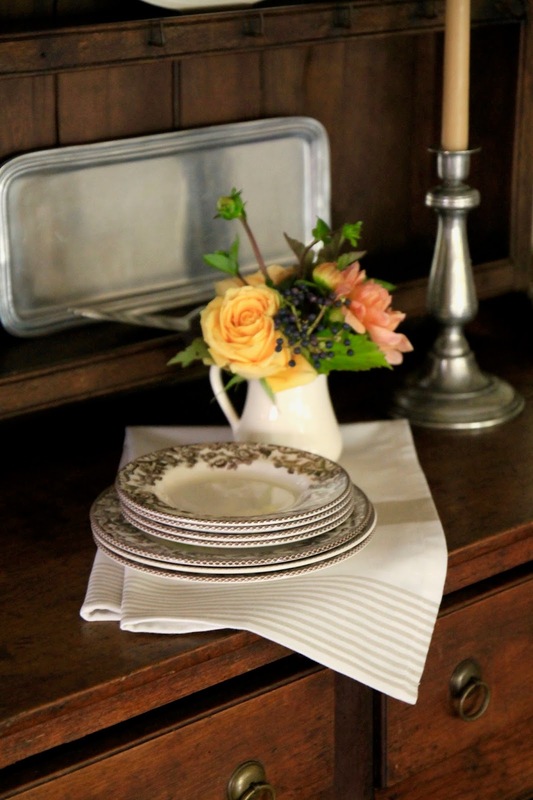 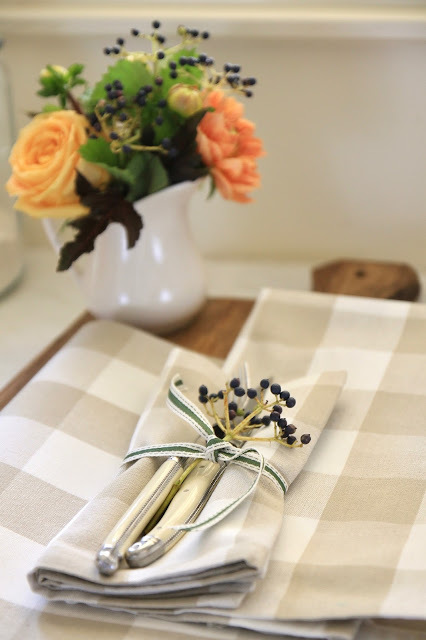 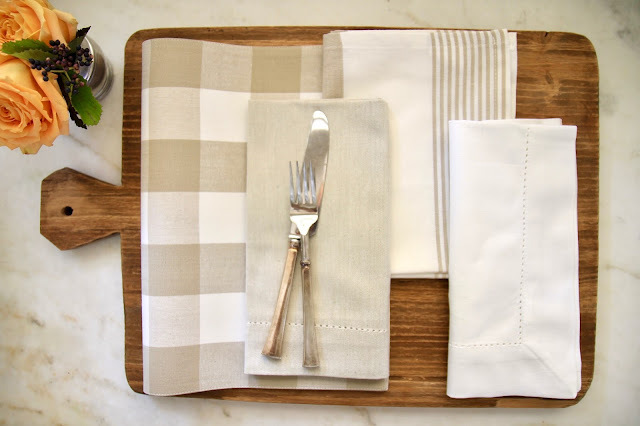 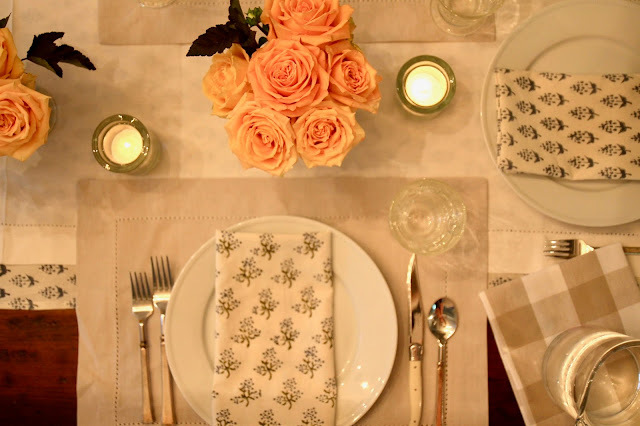 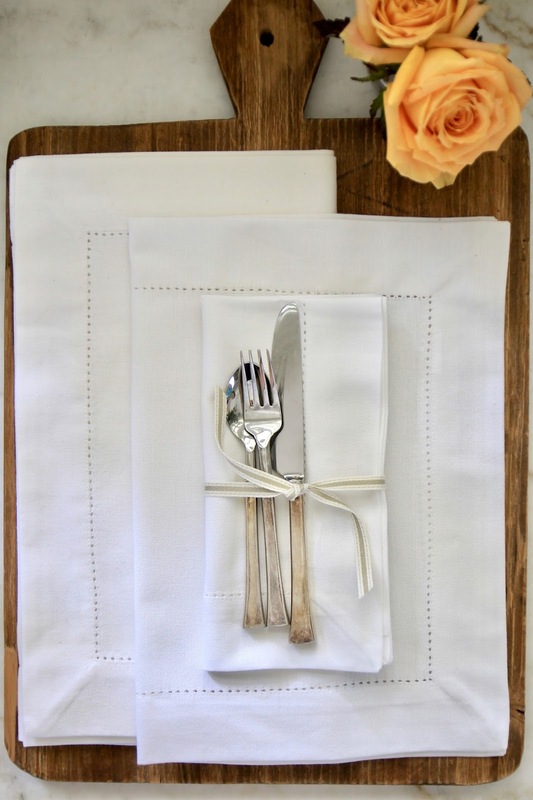 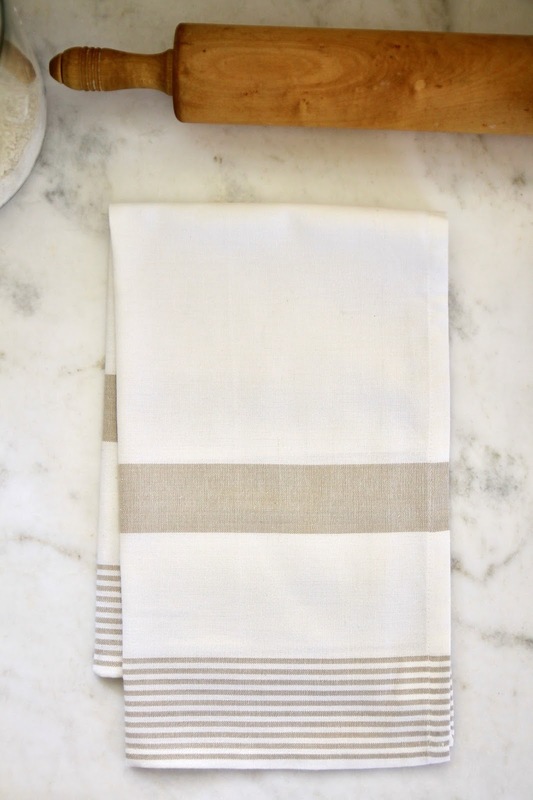 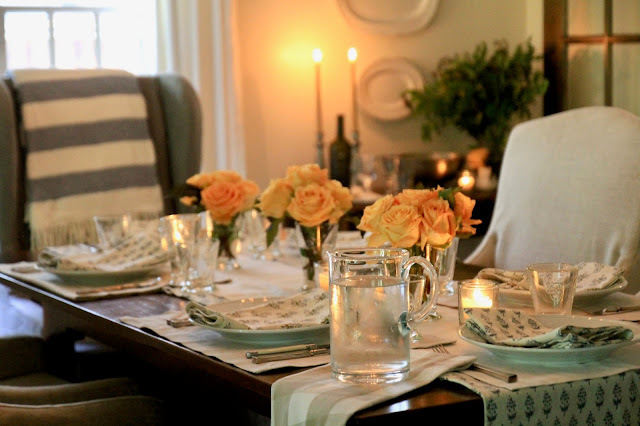 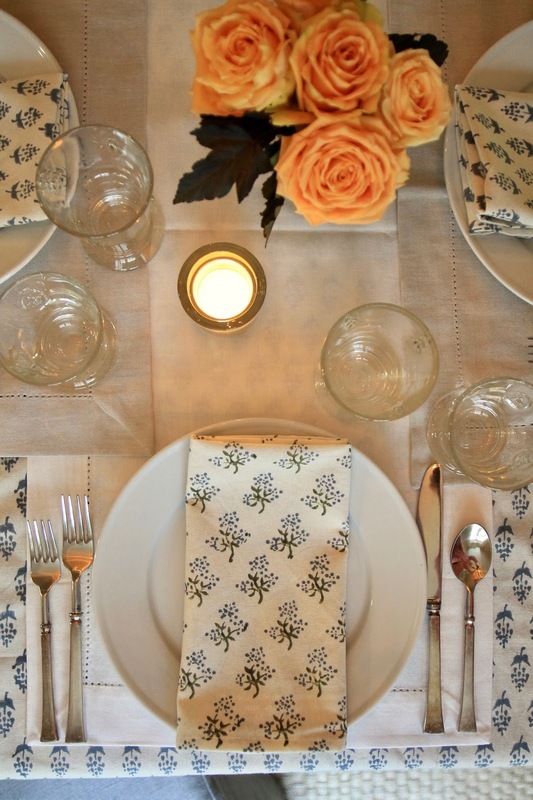 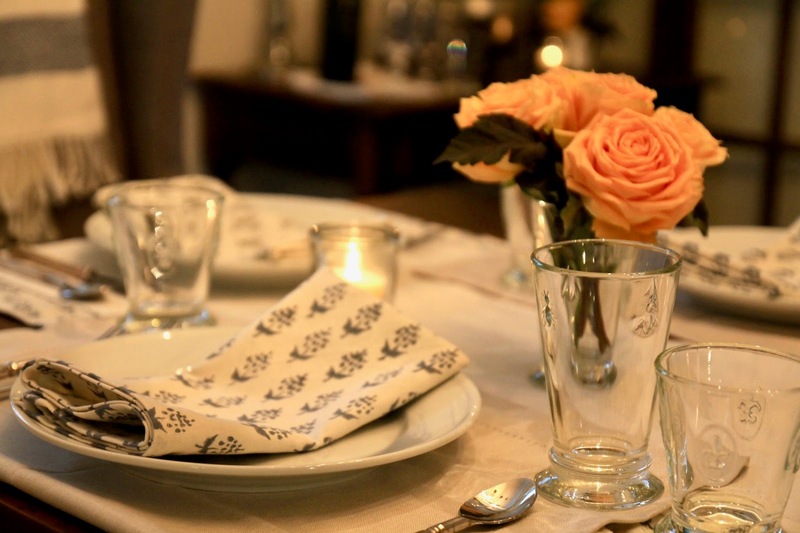 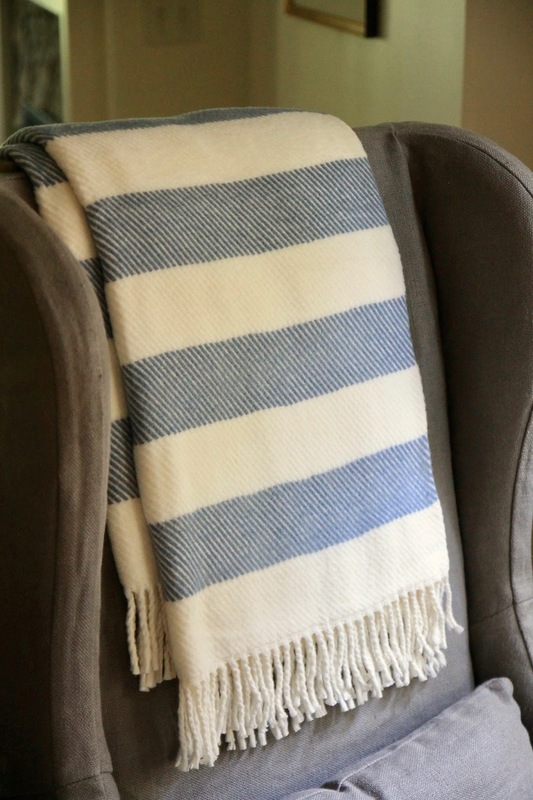 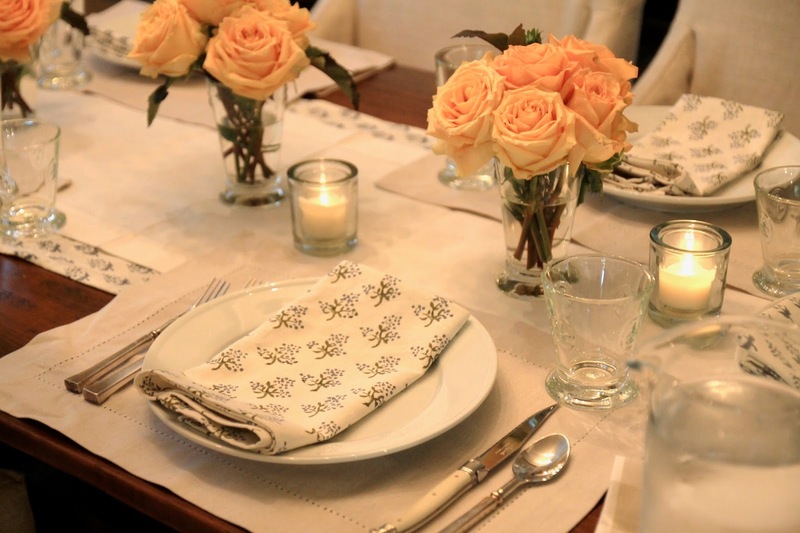 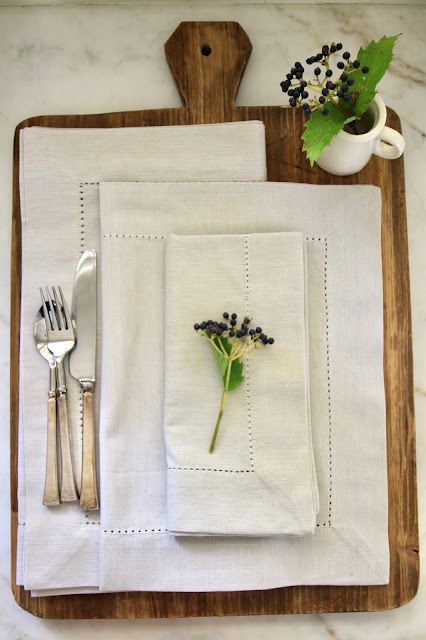 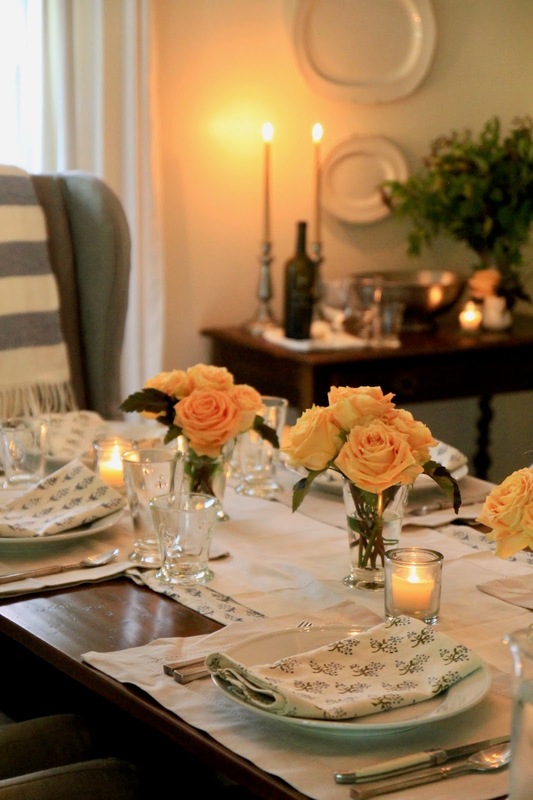 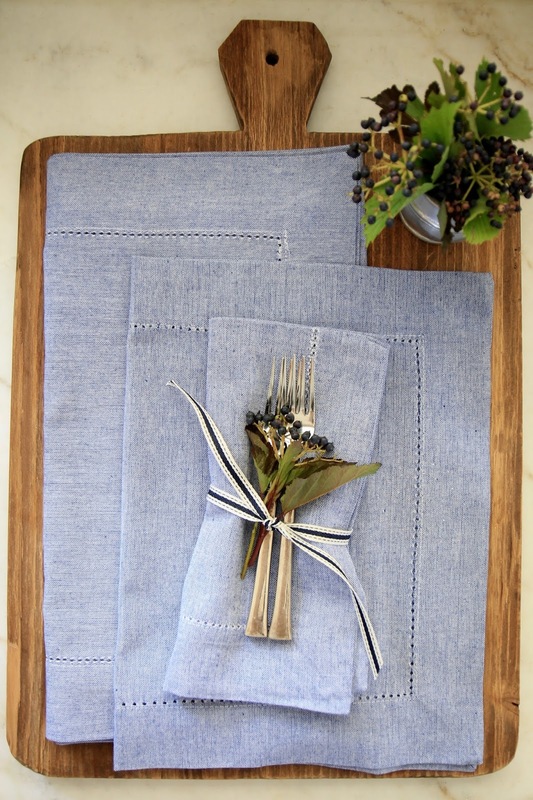 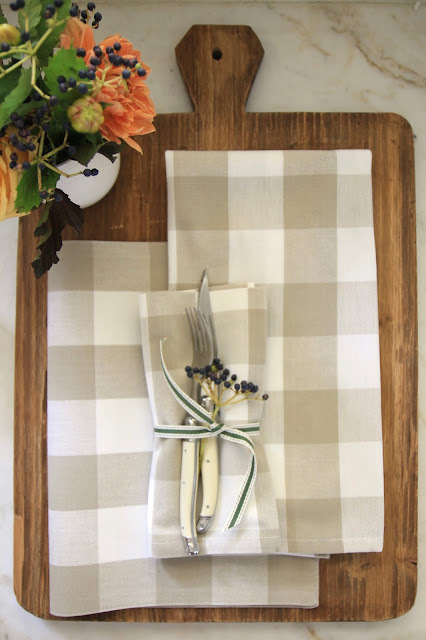 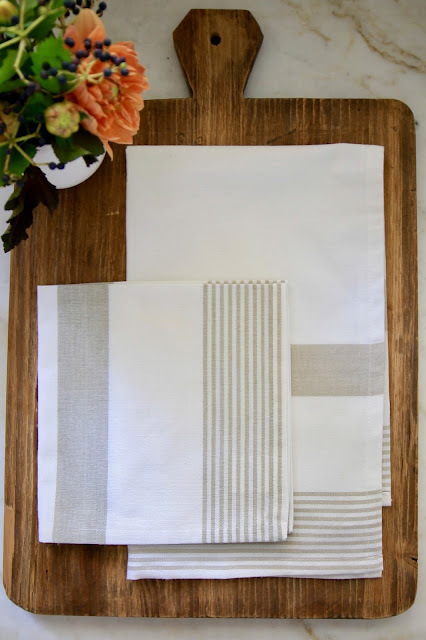 I've also included the ever classic Hemstitch Table Linens that will mix and match for any season or occasion. 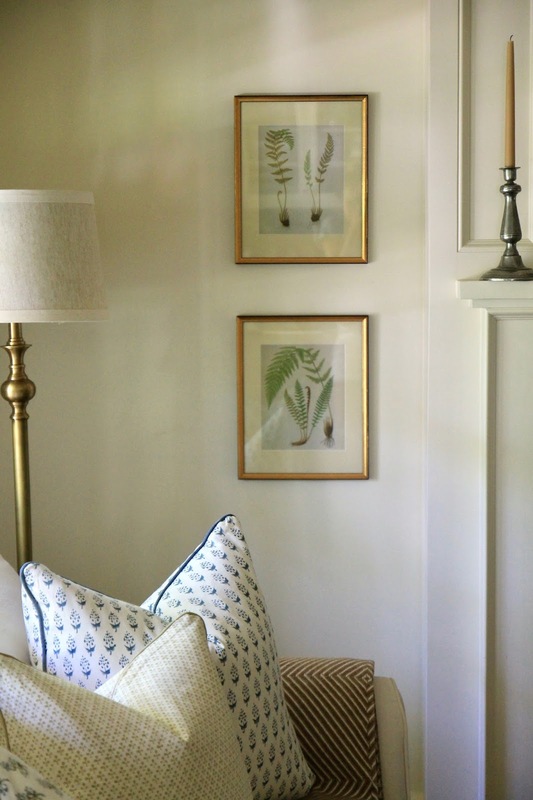 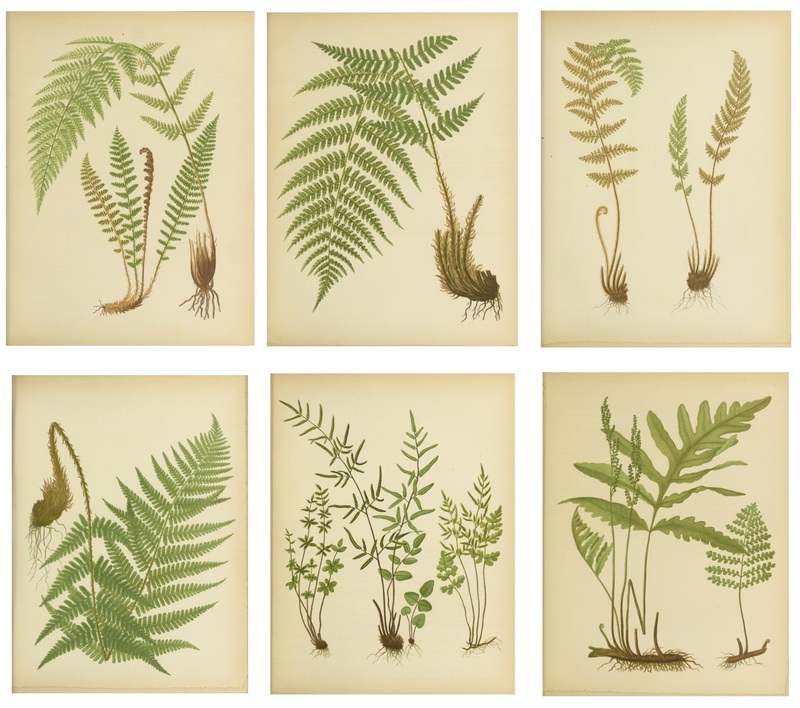 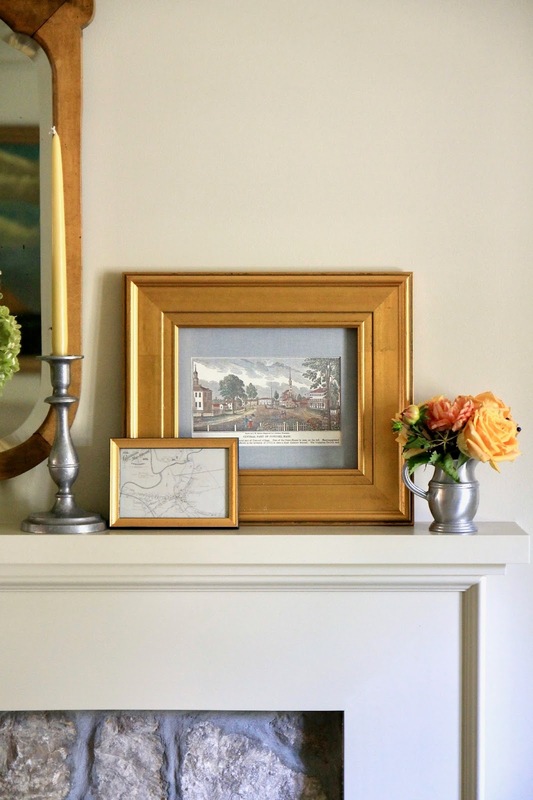 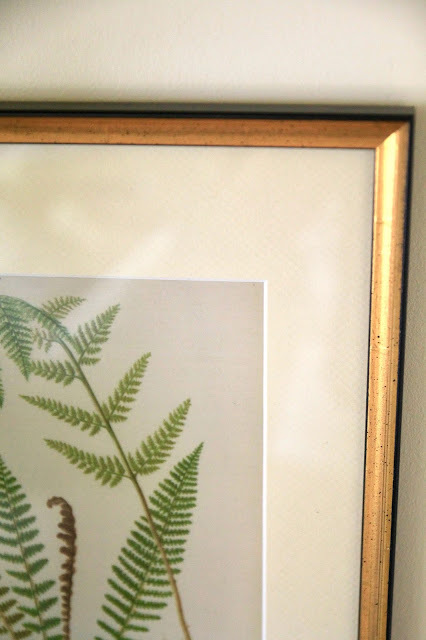 There is nothing more classic than Framed Fern Botanicals, with a new French Cream mat board option, as well as a new Gold Leaf Frame. 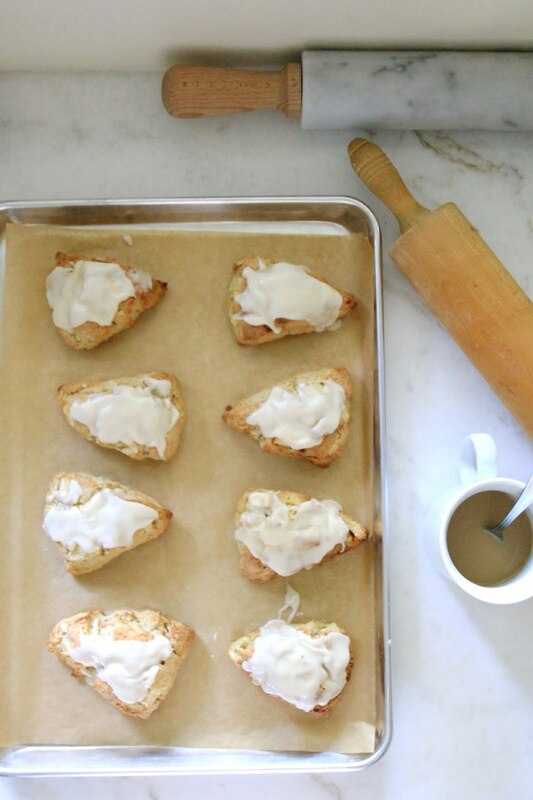 This time of year always puts me in a baking mood for breakfast and after school snacks. 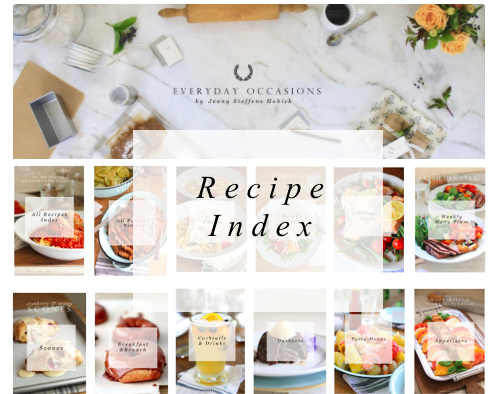 I have some new recipes that have become favorites of ours over the summer. 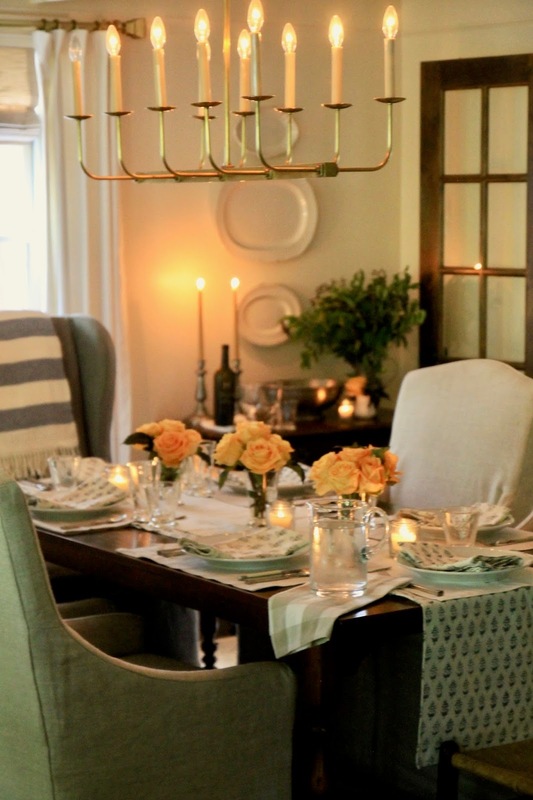 I love the mix and match, layers of this comfy, cozy table. 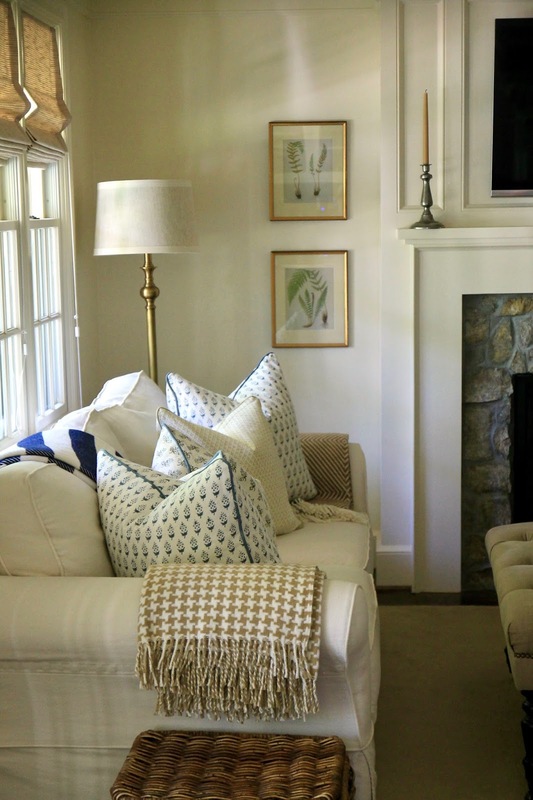 It just seems so warm, comfortable and inviting to me. This is the new French Cream Mats. 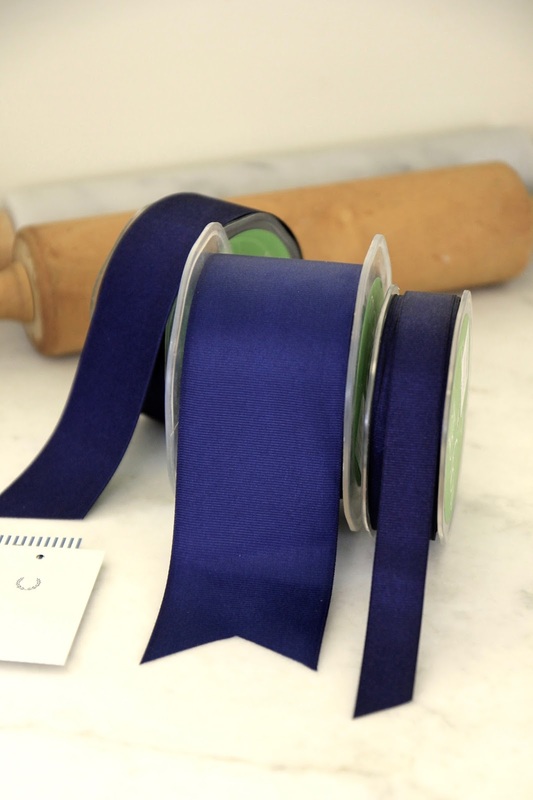 It has a richer color and a slightly soft textured finish. Whenever I'm in "homemaker" mode, I always turn to baking breads - Pumpkin Bread, Banana Bread, Cinnamon Swirl Bread, and sometimes Homemade Bread. 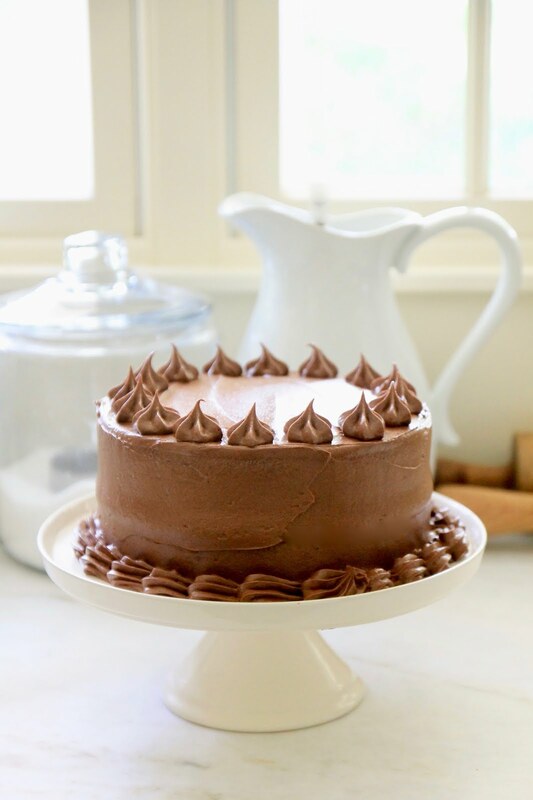 For afternoon snacks, there is nothing better than a warm slice of Lemon Butter Cake with glaze. 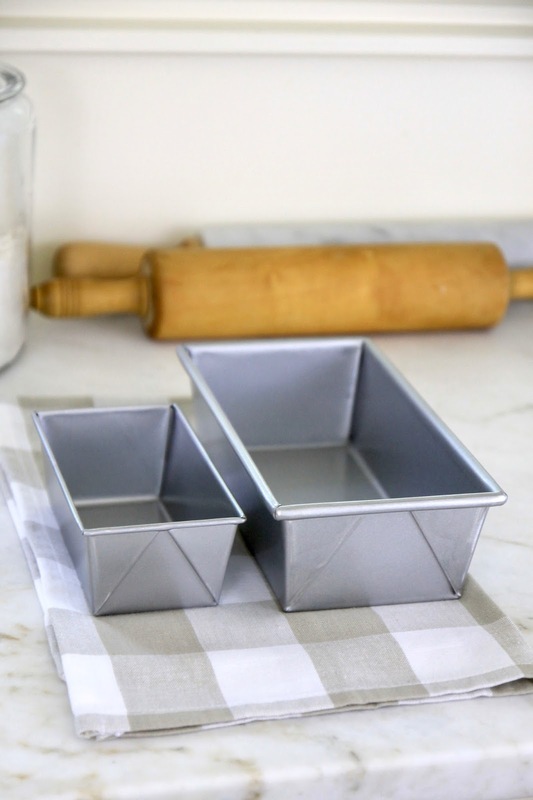 For a really beautiful looking bread or cake, I love using these pans with the squared corners. 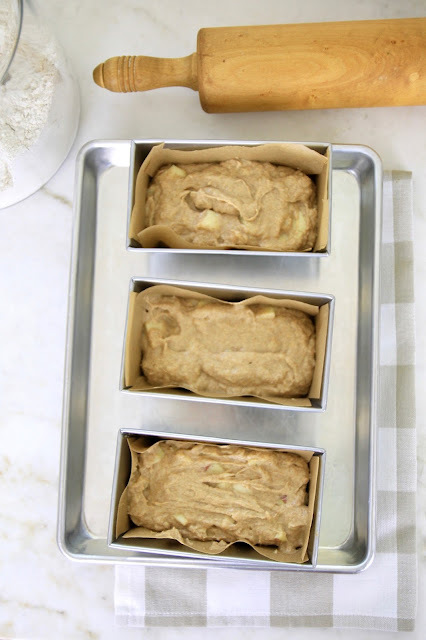 When used with the parchment paper as a liner, the breads lift out of the pan perfectly without sticking and make cleanup easy. 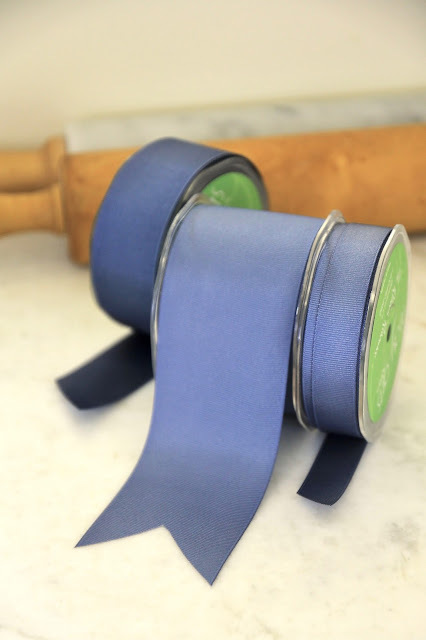 It also makes the loafs easy for giving to friends, neighbors or teachers. With the parchment liner, I put them right in a cello bag with a ribbon and tag. I have 3 of each pan size so I can make multiple loaves at a time so we have plenty for giving or the freezer. 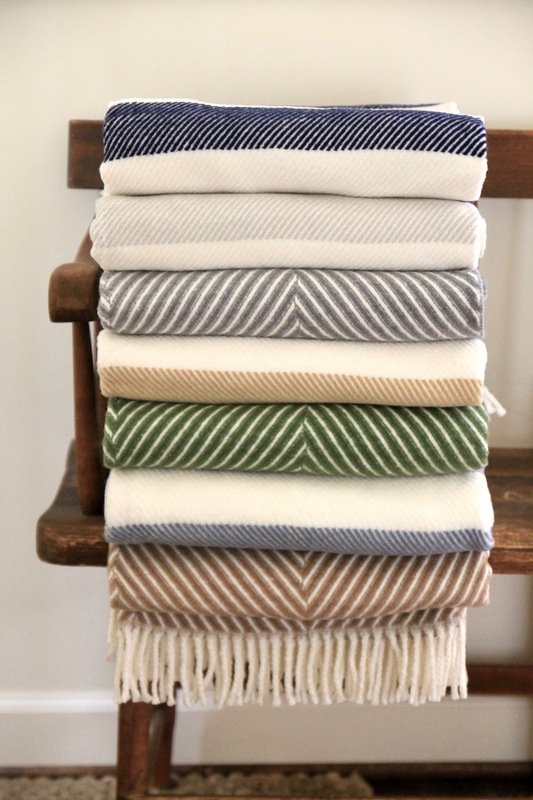 I consider wraps an essential part of my wardrobe. A fresh, soft wrap is a staple that I constantly pair with everything - white oxford shirt, puffer vests, blouse and flats, and dresses. 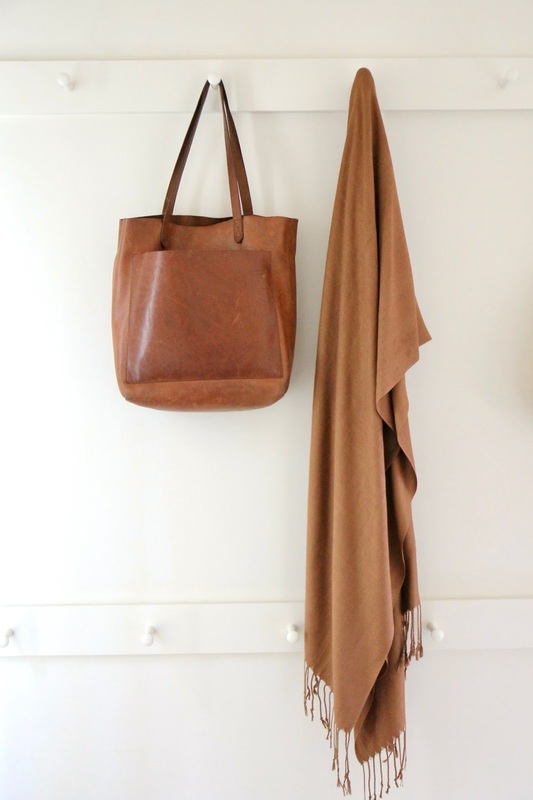 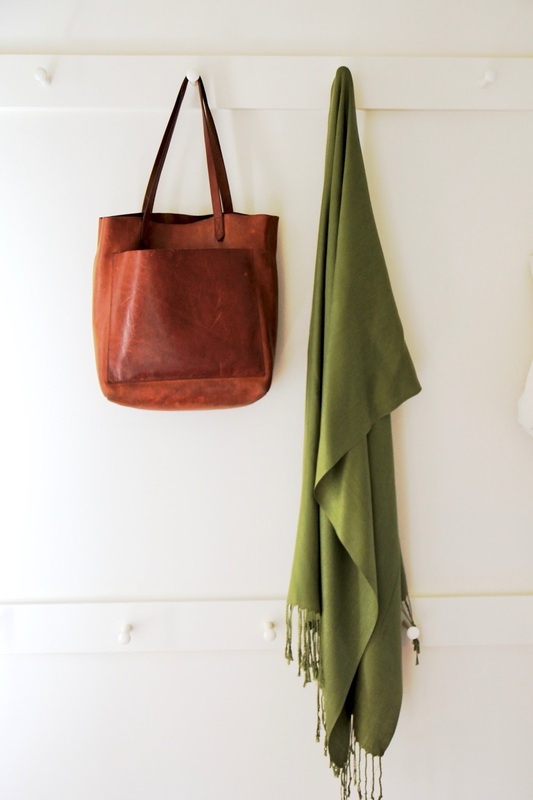 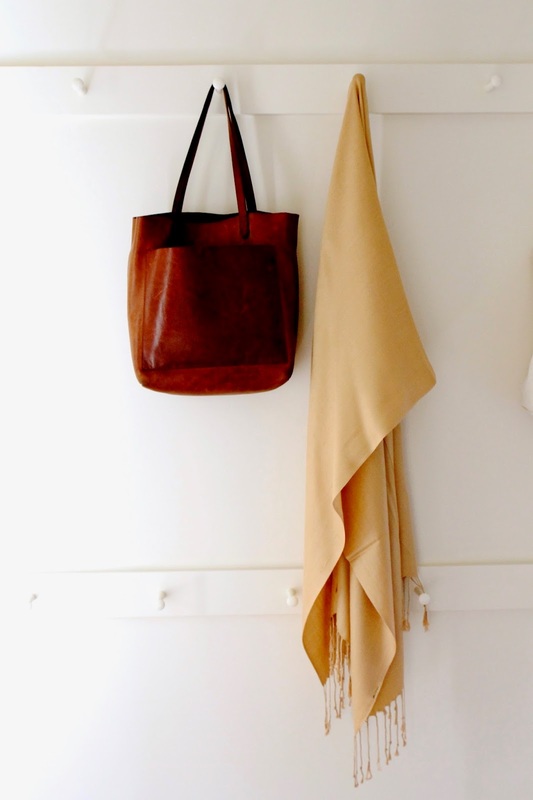 It is always the extra something luxurious and soft that completes my outfit. 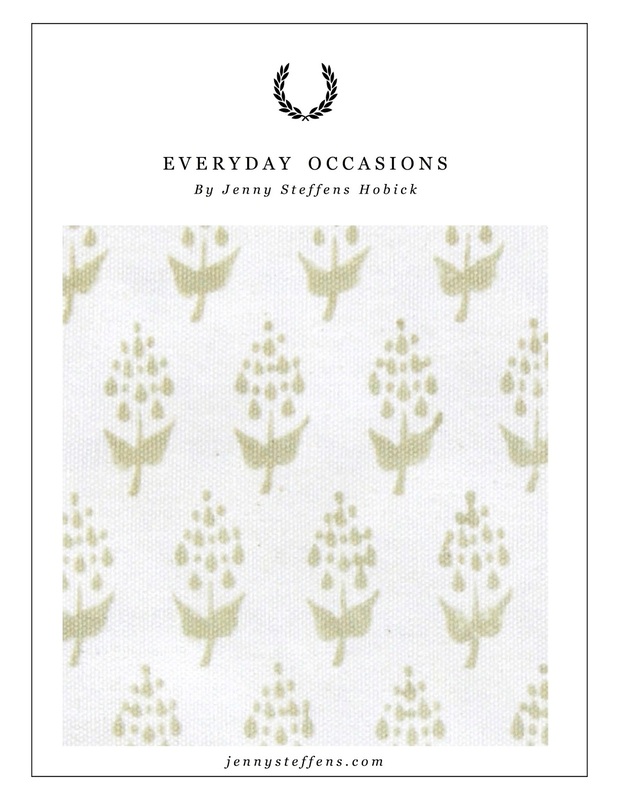 Our Wedding Invitation was printed on cream paper and very subtle and classic on the front. 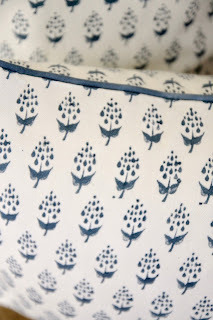 The back had these same whimsical stripes on the back of each piece. 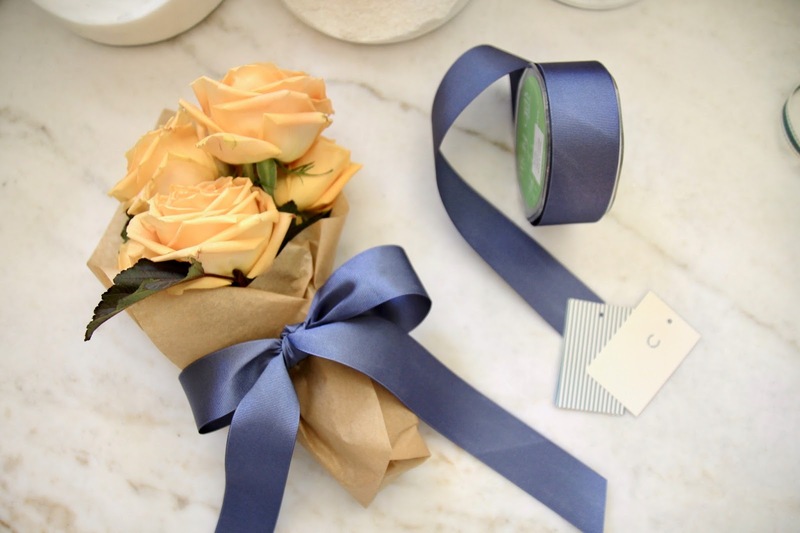 I loved this little surprise detail that made our invitations feel charming and unique. 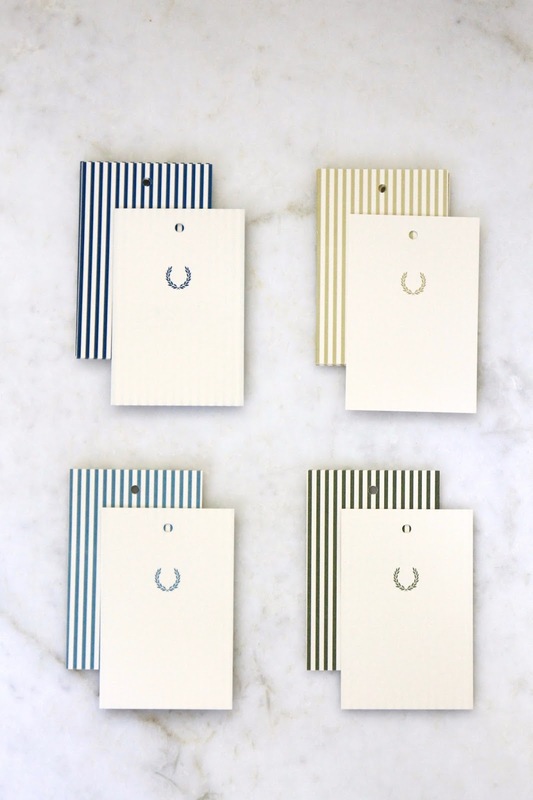 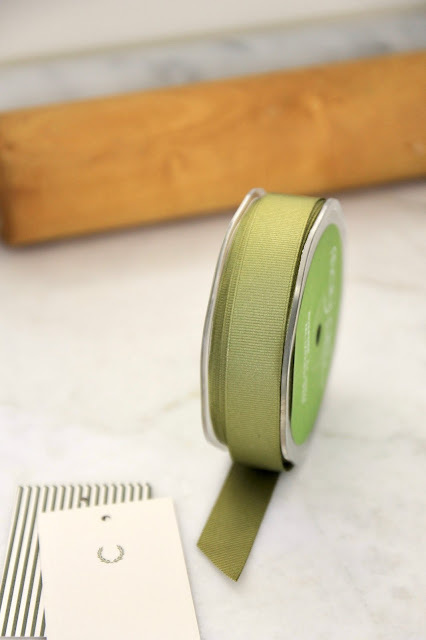 I've taken this same idea to these tags - simple and classic on the front with a little surprise on the back. 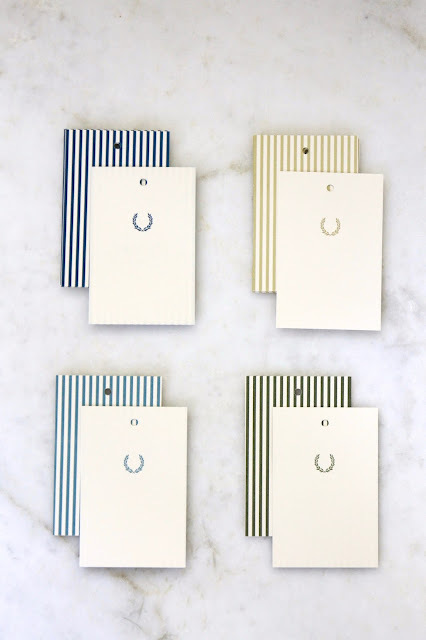 These simple tags can turn anything to an elegant gift - homemade cookies, banana bread, bottle of wine or candle. Front printed with a small wreath, the back printed in stripes.